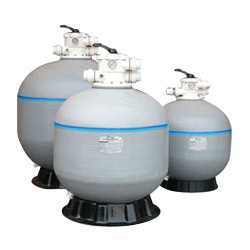 Manufacturer & Supplier of Swimming Pool Filters & Swimming Pool Filter. Our product range also comprises of Water Fountains, Raindance Water Systems and Garden Fountains. We are offering a dynamic assortment of Swimming Pool Filter in the market, which is requires less maintenance and easy installing. These products are highly appreciated by patrons not only for their easy usage controls and best performance, but also for a long service life. Our clients can avail these products at leading market price from us. Being one of the renowned names in the market, we have come up with a qualitative range of SWIMMING POOL FILTRATION SYSTEM. It has a set of jets that make the springing water have the form of a dandelion. In order to ensure the premium quality, provided products is rigorously tested on various quality parameters by best quality experts. Moreover, we are providing these products in various specifications to our prestigious clients. Looking for Swimming Pool Filters ?